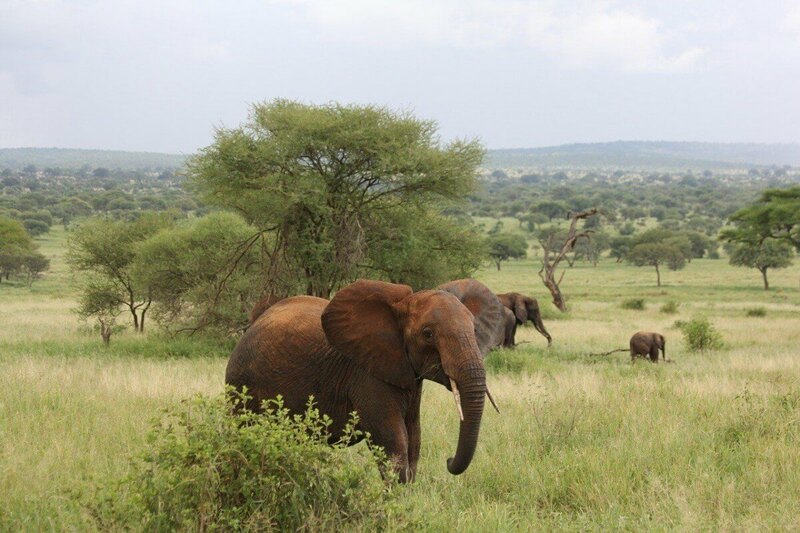 Visit Tarangire Northern Park and see the largest number of elephants per square mile in the world! 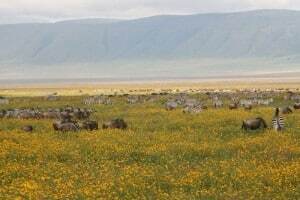 Tarangire National park is a long, thin park, with a surface of 2600 square km. A large river is flowing through the park, the Tarangire River, this river provides the park the complete year with water, and therefore you will encounter large groups of animals all year long. The park has a lot to offer, large swamps (Gursi swamp, Silale swamp and Larmakau swamp), furthermore there are savannas, large round grass hillocks, a rocky landscape. In the park you find the largest number of elephants per square mile than anywhere else in the world, furthermore you see the tree climbing python, and the park offers you a great mixture of birds; they counted more than 550 types of different birds already. Furthermore you will see; giraffes, buffalos, impalas, lions, Thomson gazelles, dikdiks, zebras, wildebeest, cheetahs, hyenas, hippopotamuses, Nile crocodiles, hartebeests, ostriches, leopards and elephants.